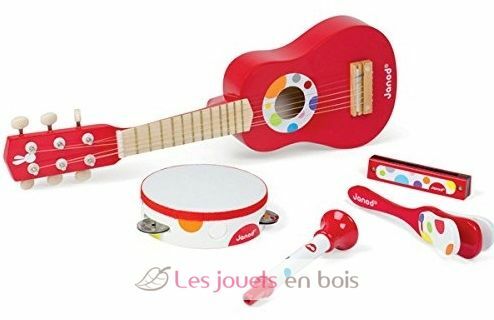 This "Music Live" Musical Set consists in 5 wooden musical instruments: tambourine with cymbals, guitar, harmonica, trumpet and Claper. 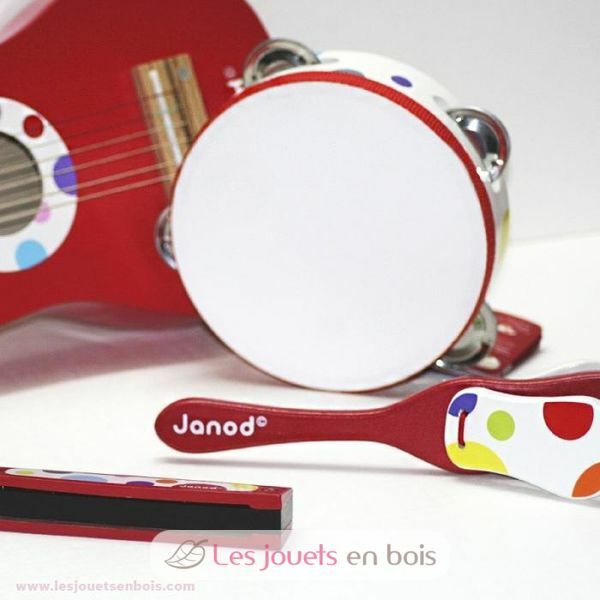 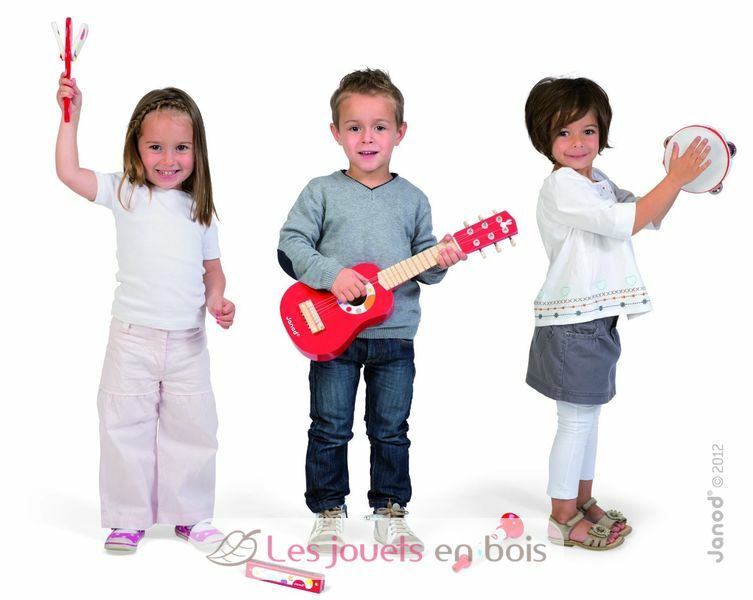 This musical set in bright colors of the brand Janod entertain children very much. 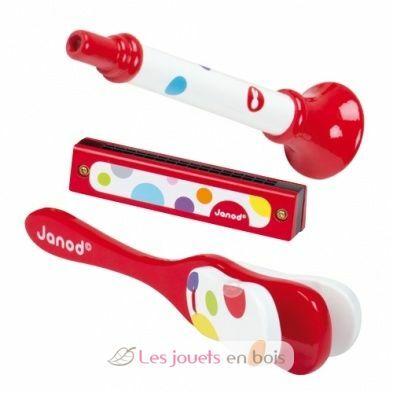 Item number J07626.